I am a professional book editor and copywriter with 15 years of experience in developing prose, polishing text and catching mistakes. I am here to help you get the most out of your writing. I provide developmental editing, copy editing and proofreading. I accept all genres of fiction. I also accept non-fiction, including academic, technical and commercial writing. I accept manuscripts of any length from short stories to novels to serials. I also write and edit book blurbs, sales and promotional material. 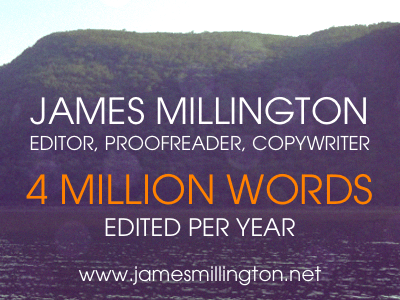 I edit over 4 million words a year. You can view some previous clients here. Do You Care About Your Story? Opening hook. Does the first page capture the reader? How about the first paragraph? How about the first line? Plot problems, continuity issues, dramatic arc, rising tension and climaxes. Does your protagonist come alive? Are they interesting, relatable and compelling? Does your protagonist have a story arc? Do they change over the course of the story, the chapter, the scene? Are all your characters different? Do their interactions sizzle with conflict and tension? Do any of your scenes send me to sleep, or is each and every page exploding with drama, seizing me by the collar and compelling me to keep on reading? Are you maintaining POV consistency, ensuring the authorial voice does not creep into your protagonist’s head? Show not tell, info dumping, encyclopaedia entries that break immersion or slow the story down. I’ll call it out. I will identify other issues specific to your genre. I generally edit about 1 book per week and schedule all bookings on a first-come, first-served basis, usually about a month in advance. If you have an urgent request, an express service is available on a limited basis. For novel and thesis-sized projects, before we go any further, I will provide a free sample edit of up to 1000 words – ideally the first 1000 words of your manuscript. Please take a look at my editing services and then feel free to contact me to ask me anything else you’d like to know. Please supply details about your manuscript to discuss which service you require and to confirm a work estimate. Once you have a sense of the level of detail I’ll go into with my editing and we establish that we have a creative and professional fit, we’ll be ready for you to send me the full manuscript. Please contact me with your requirements and I’ll book you into my schedule. I provide a 24-hour proofreading service on Fiverr which is always available for shorter manuscripts up to 3,000 words. Other types of editing and longer pieces must be booked into my regular schedule. Please contact me to check on my availability.